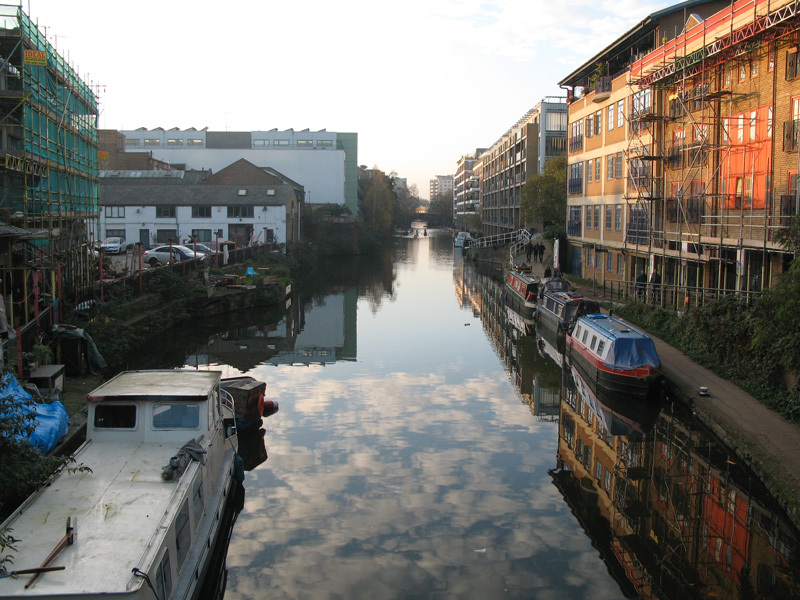 “By the Bridge” is a new cafe that opened at the junction of Kingland Rd and Regent’s Canal in East London. The owners have been living all their life in the area and they’ve seen the many changes that occurred the last 5 years especially due to gentrification. 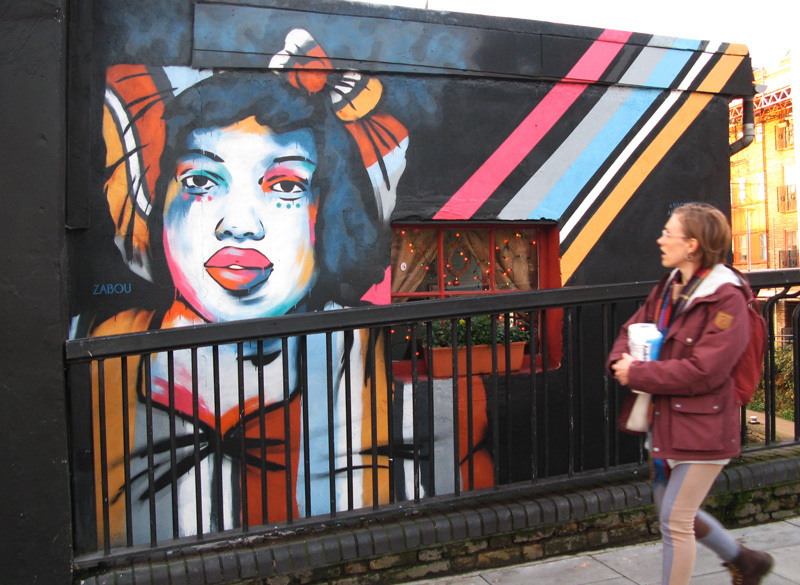 They wanted a mural that tells Hackney’s story. 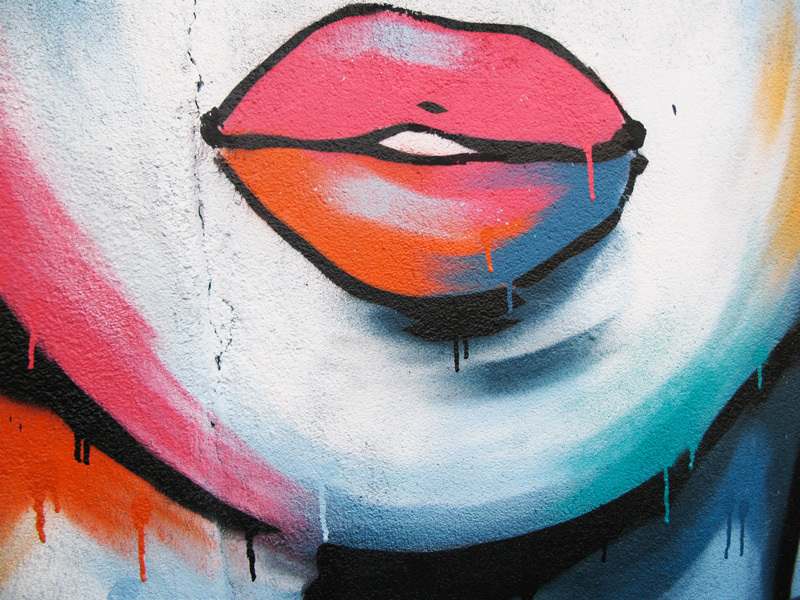 The street art piece is inspired from a photograph by Zed Nelson, who took portraits of local habitants. 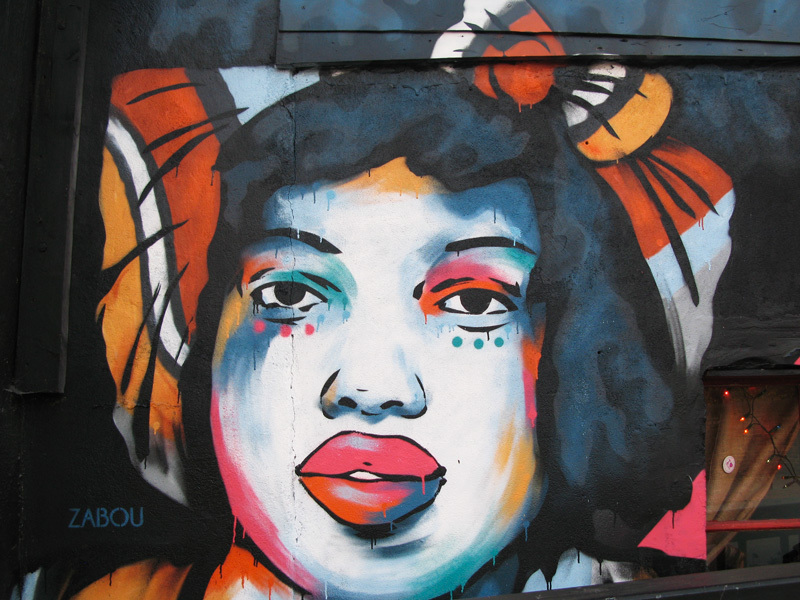 The mural features a young girl, wearing some colourful African clothing. Her face is covered by touches of bright colours. Lollipop Gallery is a new art space that opened late September in the heart of Shoreditch, London. The gallery, owned by a couple of collectors, displays urban and contemporary artworks in a well curated large space. 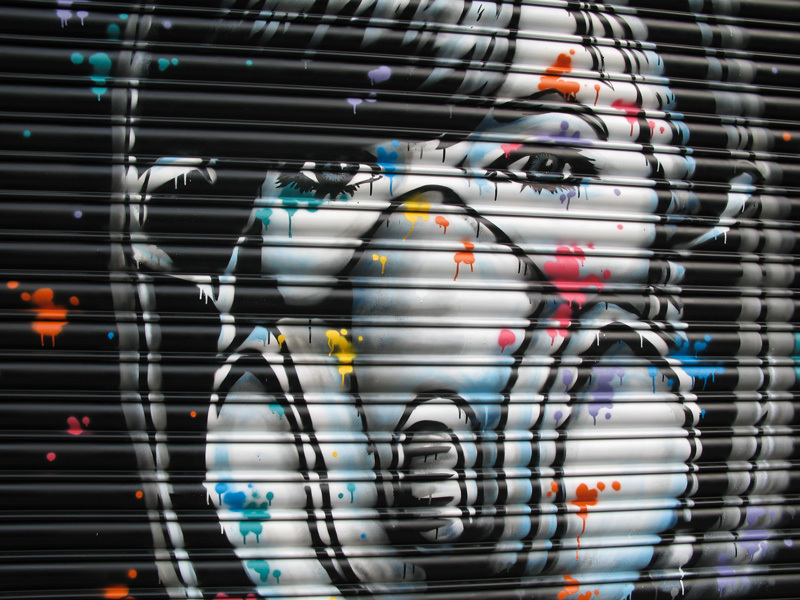 It features artists such as Matthew Small, Roa, Blek Le Rat, Vinie Graffiti and many more.The owners asked for my “Selfportrait #1” to be painted on their front shutter. The rounded surface was a challenge to spray onto, but the result turned out great!